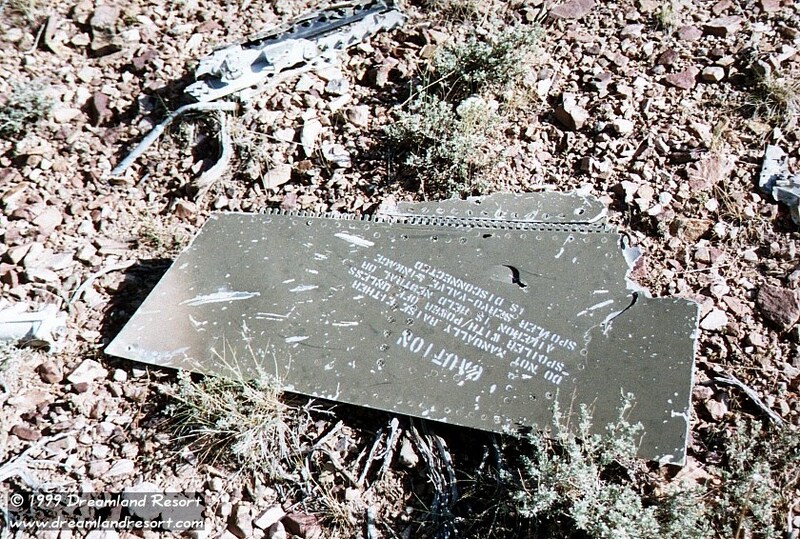 This F-4 crash site is in the northern end of the Groom Range. 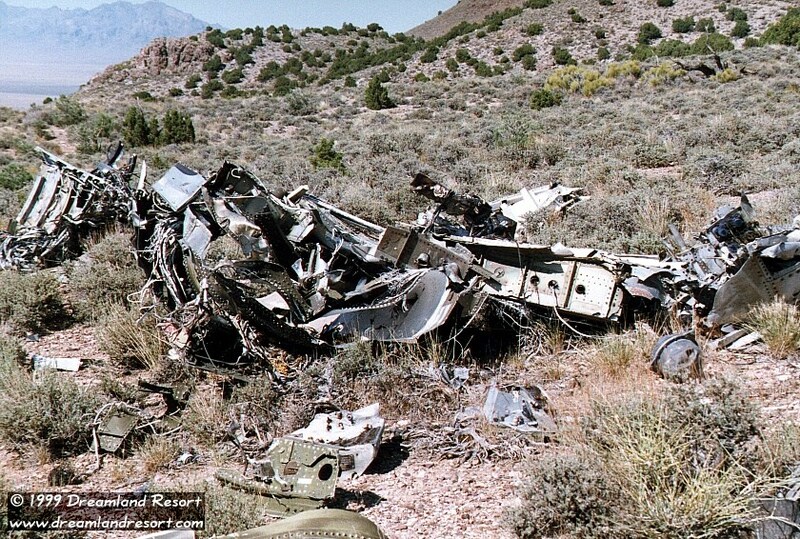 Since this site is in a remote area, and not too many people know the exact location, most of the wreckage is still there. 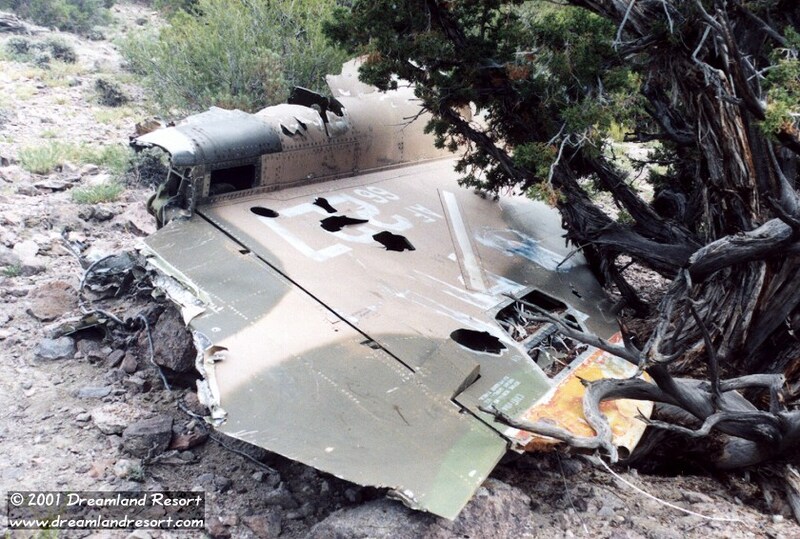 Only a few pieces have been removed by the crash investigation crew, including some electronics equipment and the canopy that broke up into three pieces as a result of the impact. 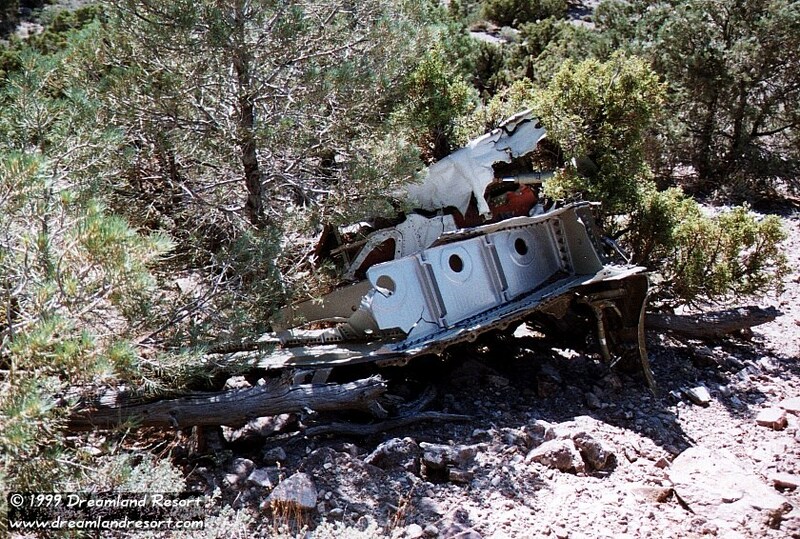 The crash happened on March 7, 1979, at 1419 PST, and both the 29-year-old pilot and his 29-year-old navigator were killed in the accident. The F-4D (serial #66-0227), from the 388 Tactical Fighter Wing, Hill AFB, UT took off from Nellis AFB during the 79-4 Red Flag exercises. The objective for the team of 6 planes, Pall 21 thru 26, was to ingress to the target inside the Nellis Ranges as two ship elements after refueling in the Caliente Military Operating Area. Pall 21 and the ill-fated Pall 22 started their descent immediately after leaving the refueling track, to start their low-level approach to the target. Weather was clear, with 30 miles visibility. 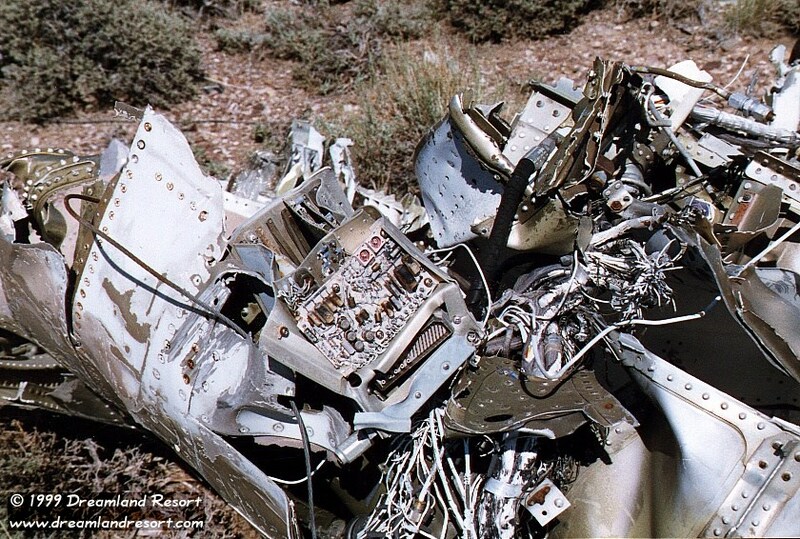 During the low-level flight, Pall 22 impacted the ground in the northern part of the Groom Range. In this area the Groom Range ends in "fingers", low ridges roughly in a north-south orientation, with washes in between. Pall 22 came from the east at high speed; the crash investigation determined 340 knots ground speed, and 96% throttle at time of impact. They crossed the fingers in a 90-degree angle, and just barely touched one ridge with the left wing tip. It then continued its flight path across the next wash, beginning to loose small pieces of the wing. 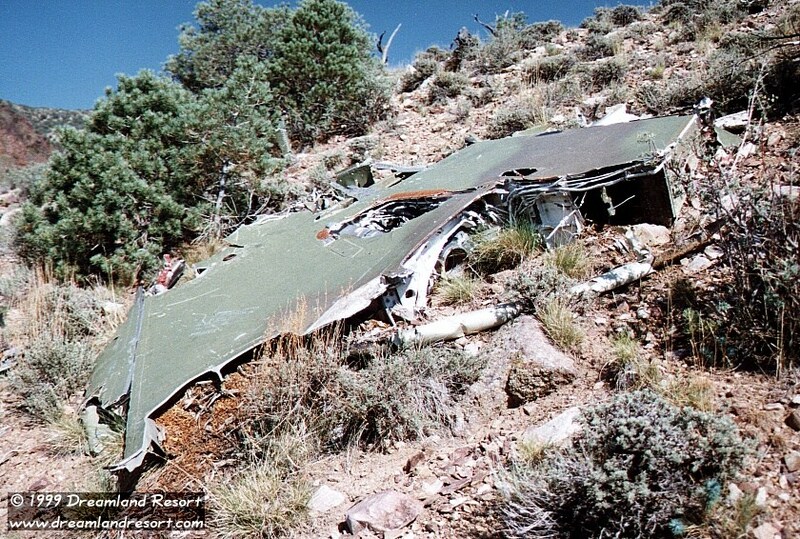 The disabled plane then slammed into a rocky knoll on top of the next finger, knocking out a section of some 20 feet of solid rock. After that impact the plane fully disintegrated. The canopy ended up in the next wash, but some heavier pieces of the engine flew clear over yet another finger and sit on top of a plateau there, over 1/2 mile (2692') from the main impact point. 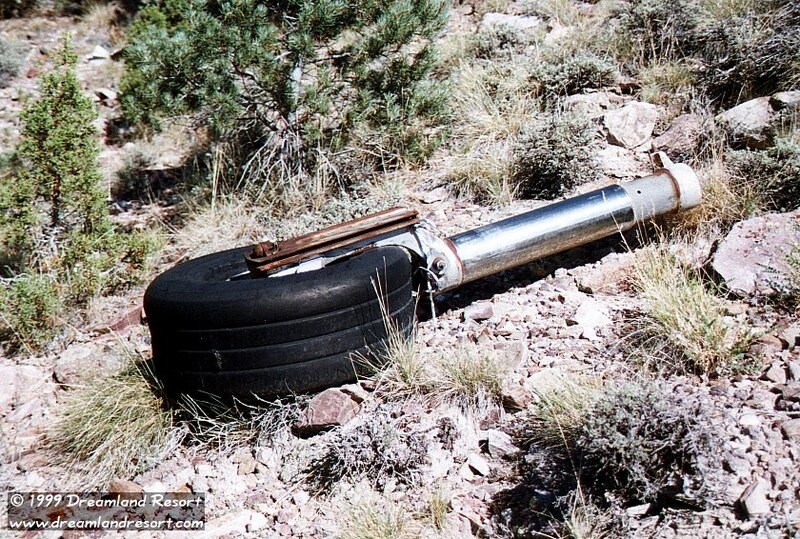 The crash investigation could not determine any mechanical failure or in-flight fire prior to impact. The position of the stabilizer indicates a pull up or evasive action conducted by the pilot immediately prior to impact. 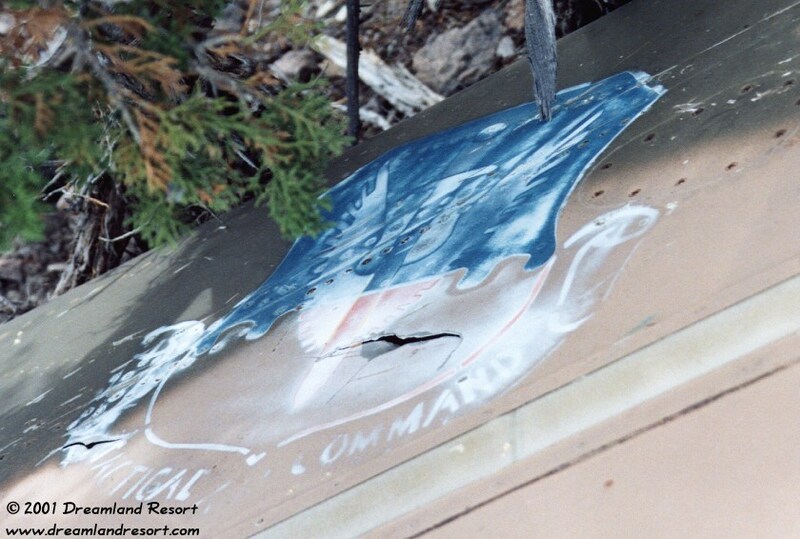 The information above is from the official "USAF Mishap Report", which we obtained as a result of information given to us by fellow researcher Pete Merlin. Most of the photos below were taken in late July 1999. 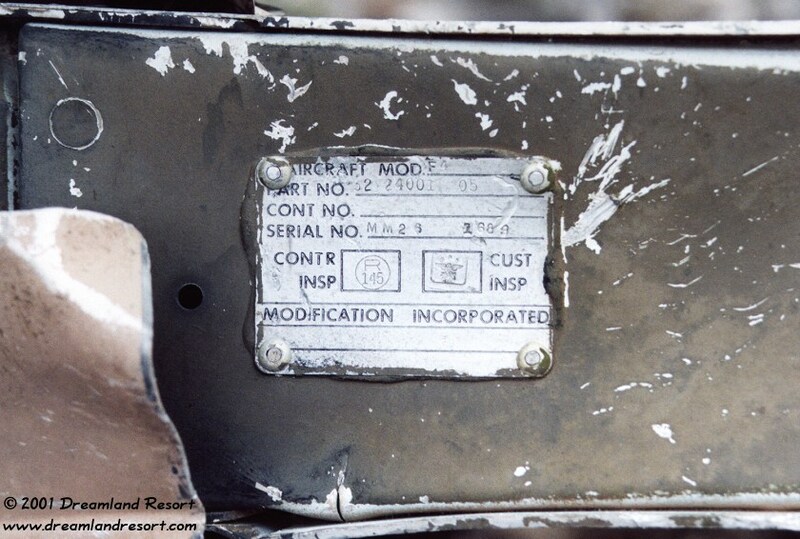 The last three photos, taken in June of 2001 show the model number "F4" on the plate, the manufacturer's serial number for one of the plane's components "MM26 1689", the plane's Air Force serial number "66-0227" and the unit logo. 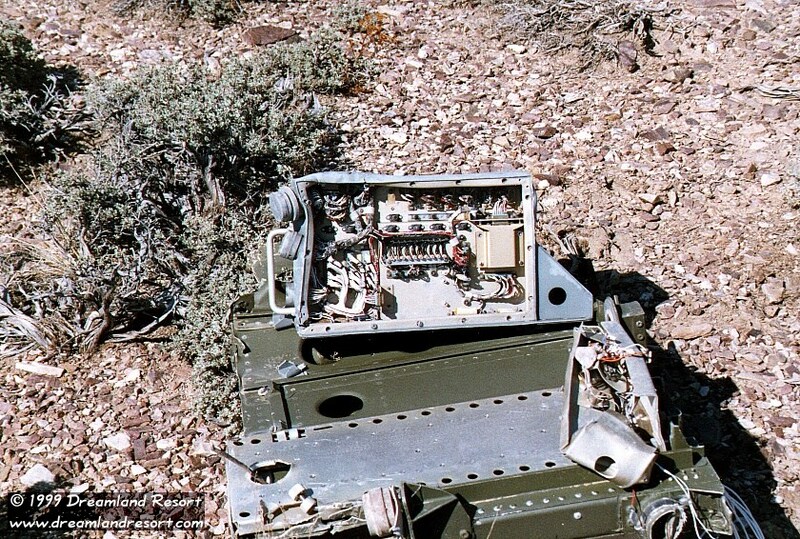 The first two digits of the serial number indicate that the aircraft was paid for in fiscal year 1966, and the tail code "HL" (over the serial number) is assigned to Hill AFB, Utah. The crash report states that the aircraft was assigned to the 388th TFW 4th TFS, which is now the 388th FW 4th FS, flying F-16 C/D. The logo is from the Tactical Air Command (TAC), now Air Combat Command (ACC). 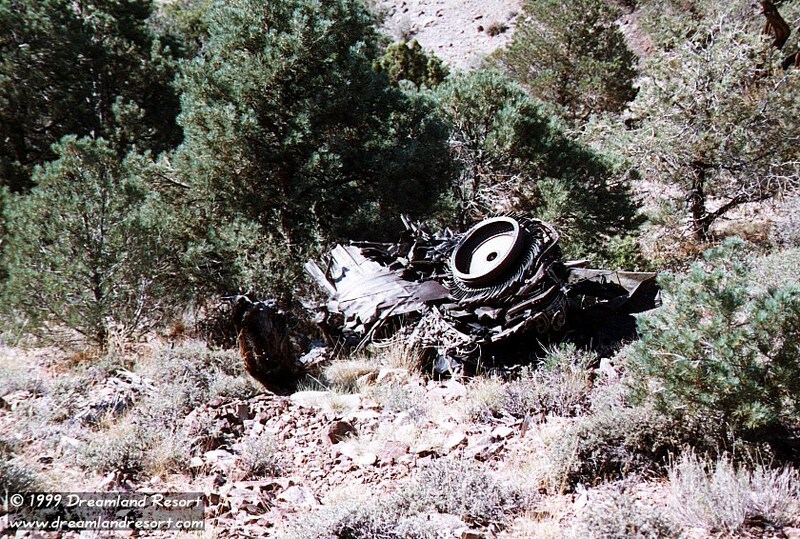 Addendum: When you look at an old crash site it is too easy to forget the tragedy behind it. One of the officers involved in the investigation told us that the pilot left behind a loving wife and two young children. He described both crew men as "very fine officers and men". They are missed by their family and friends. 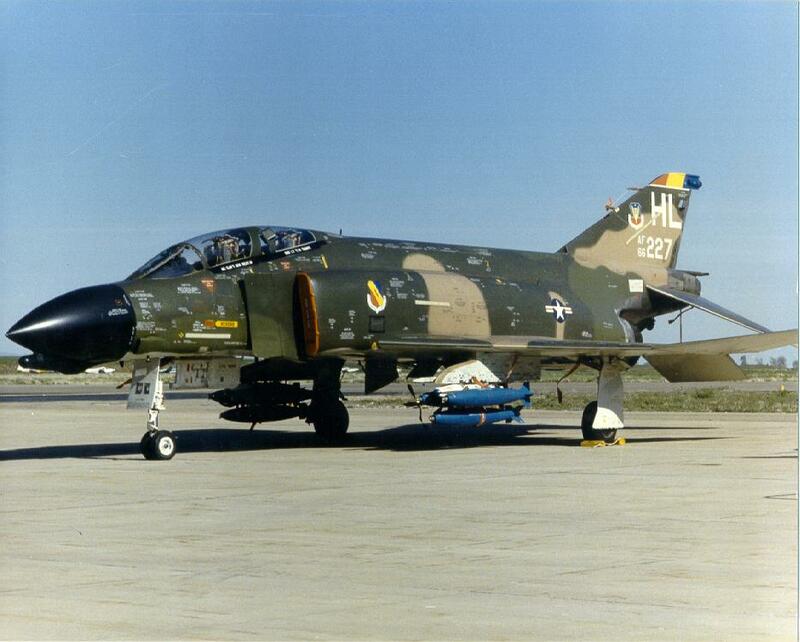 Addendum 2: The last photo shows the aircraft a few months before the accident, when it left the Hill AFB paint shop for the last time. Many thanks to Thomas W. Noble, whose father was crew chief for that aircraft, for the photo.